Specialised pan-African business law firm based in Zimbabwe which relies on additional active legal and transactional support from top tier international firms. 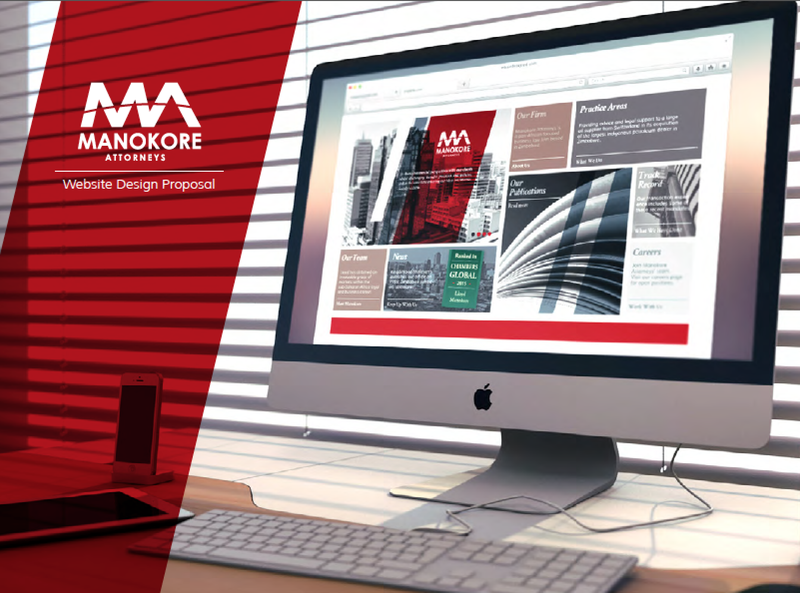 Website: Capitalizing on the new look of Manokore, we strived to produce a corporate website that would be reflective of the firm’s guiding mantra: “Solution-driven. Service-focused. Well-connected.” We established a simple home page grid layout and a content matrix that could establish immediate connections between Manokore’s sought-after legal services and its considerable transaction experience. All of this came to life on a mobile-optimized platform with revitalized resource and news sections. Brochure: Fresh from a brand makeover, Manokore was interested in producing promotional materials that would blend a flair for design with appealing content. 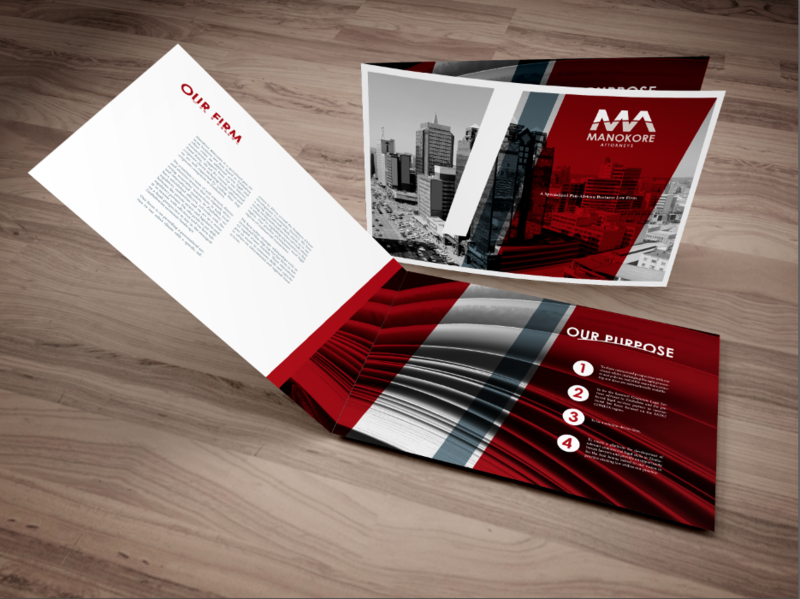 We came up with an economical but impactful brochure that packs a serious punch.